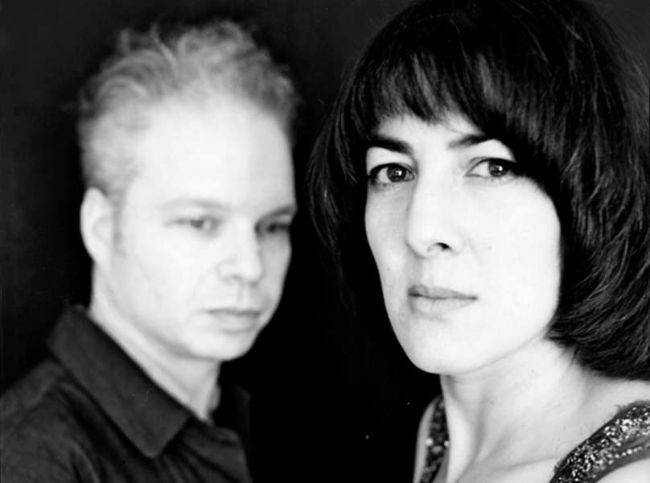 Boston-based duo Damon & Naomi played dream pop and screened a film on an entrancing evening in the Grüner Salon. This was one of those shows where, after a long week, I was nearly contemplating skipping it and going to bed early. I hadn’t been to a show that had really knocked me out in a good month or so, but I’d figured this one would be interesting at the very least, and managed to pry myself out of the house just in time to miss Damon & Naomi introducing their first number. But the atmosphere in the Grüner Salon was unlike almost any other show I’d heretofore attended in Berlin. Damon & Naomi’s dreamy tunes drifted through the small, ornate venue over seated patrons, all properly entranced. Any comparisons I might have made to fellow Galaxie 500 alumni whose subsequent projects I may have seen in various locations abroad melted away as they continued their set with cheeky recollections of Damon’s recent ambulance ride after an injury in London and a rendition of their own How to Say Goodbye. 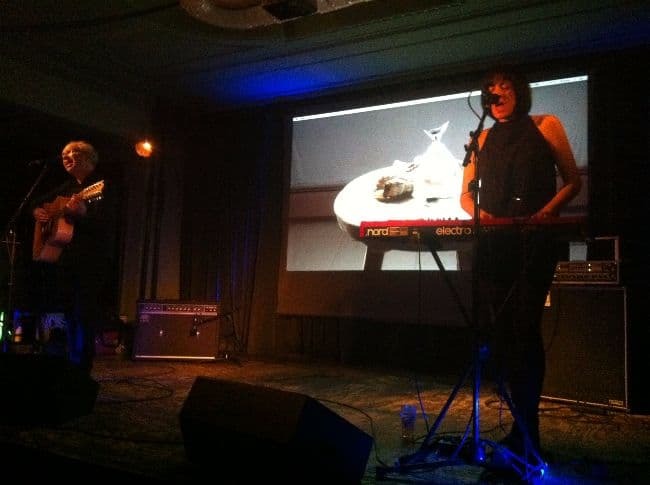 While the first half of the show was a selection of their older songs, the second half featured a screening of a film by Naomi, Fortune, and a live performance of the soundtrack, also their latest album. Speaking about the music for the film, the pair clarified that the tunes were meant less to illustrate or explain. Interweaving imagery occult and every day, the music may not have served any ‘practical’ purpose but it absolutely enhanced the experience. The show became a less a concert in the strictest sense but more something more akin to art openings I’ve attended and liked. They know equally how to put on a show and appear relatable, but also to add a further dimension and leave the audience feeling as though they’ve witnessed something really singular. After the film, the pair returned with a “cover of a cover” of Listen, the Snow is Falling. Probably one of my favorite songs in either its original form by Yoko Ono or the earlier Galaxie 500 cover, it proved the perfect conclusion to an unexpectedly enchanting evening.